#2 and #6 = LOVE!!!!! The LP planners are my favorite too- I love that there is a lot of space to write on each day of the week. 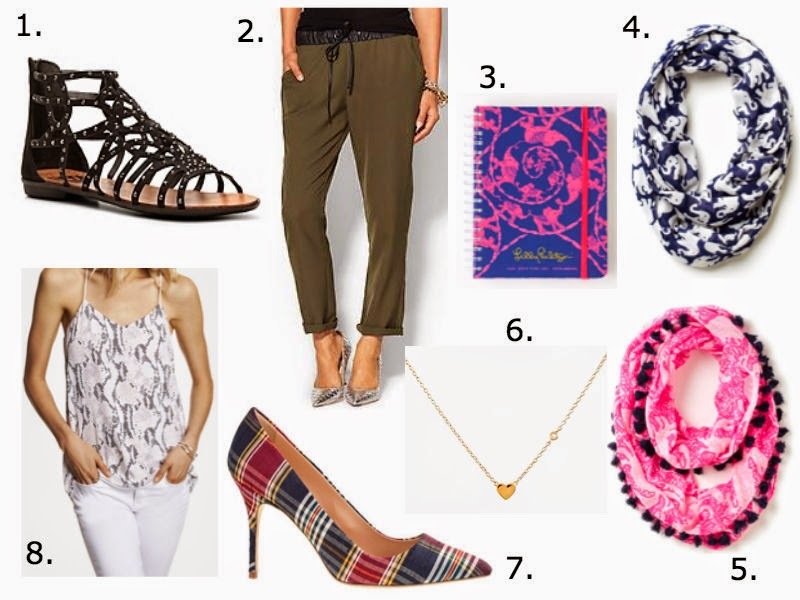 I am loving those Jcrew pumps too- perfect for fall! I've got to make a decision on a planner this year and I'm torn. I need to run to our gift store here and check out the LP planner in person. They look adorable! Love my new LP planner, too. They're the best (stickers and all!). Glad I didn't see those scarfs though before check out! PS- love the new look! Looks great! Those drawstring pants are fabulous!! Love the new layout as well!! So pretty! LOVE LOVE LOVE the green drawstring pants! So cute! Omg LOVE the new layout!! It looks soooo good! Also love the Lilly scarf.. I'm all about the pom poms right now!